Thanks, weird old clergy guy from The Princess Bride for the quote. And thanks, Katie & Dave, for venturing out last evening to take photos with us of Cameron Hendricks (another post in the works...) in the park. 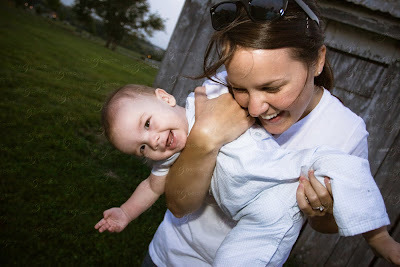 This gorgeous picture of Mom and son, I feel, really captures the essence of that Princess Bride quote. Great shot, Beck. What a talented photographer! Love the pictures!